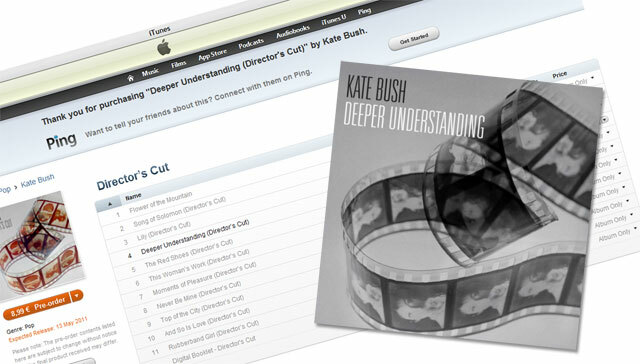 This entry was posted in Charts, Deeper Understanding (2011 single), Kate Bush news, www.katebushnews.com. Bookmark the permalink. 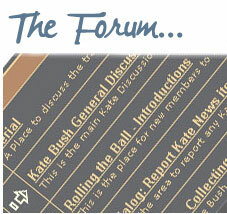 38 Responses to Get Kate into the charts on Sunday! I can’t download it off Amazon UK for “geographical restrictions”. I live right next door – Ireland. I’ll try iTunes. Yes, and we absolutely want Kate to do well in every territory, but traditionally we turn our eyes to the UK charts first when it comes to Kate AND we need to remind people that the chart race literally started at midnight! Anyway, I really hope Kate charts, it would be great. The more I listen to the single the more I love it. Brilliant to hear her voice again. I just pre-ordered the album and got my Deeper Understanding single from iTunes here in the US. Wish it counted toward getting Kate in the charts in the UK, but alas… Listening to DU on headphones in the full download from iTune is a real eye-opener. So many nuances you can’t hear in the YouTube clip. Loving it more. why don’t you use a UK-based proxy server to log in and download??? anyway, i was appalled by Radio Five Live’s short-sighted review of the new Deeper Understanding. “I just don’t get it, it sounds like someone accidentally leant on the mixing desk; she’s a good singer, she doesn’t need electronic FX on her voice”…. completely over their heads went the artistic statement regarding the relationship between technology and humanity. i often feel sorry for Kate, that her career was guided at such a young age into the rhealm of idiotic shallow pop culture; she is so much more intelligent than that. I meant to order this and Lyra as downloads – only got Lyra so far and I need another voucher to complete the order! I just purchased my copy from iTunes here! Is there anything I can do to help her in the UK? The album is 190 in the US as of 11am. The single hasn’t charted… yet. It’s now at 173… hopefully a steady rise. 31 on the Pop chart. maybe i missunderstood ,is Kate gonna realese beside Director’s Cut a totally new album ?????????? Just heard the “new” Kate Bush single. Did the Bulgarian choir refuse to be in the reworked version? Very weird change in the chorus. I’m amazed! I’m just about to publish a book of short stories that include a short story I based on this song. I’m busy finishing the illustrations to it as we speak. 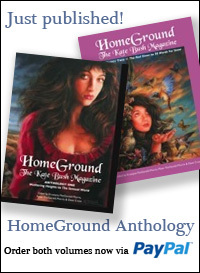 I’m a long time Kate Bush fan, and the song always fascinated me! Yes, she is working on completely new material that will be released *after* Director’s Cut. Presumably next year (but knowing Kate it could be much later than that). I’ve already placed an order for all versions of DC on Amazon, but yesterday evening I purchased DU from iTunes. Hope Kate’s rise in the charts is swift and infectious! There’s a good chance Wuthering Heights could sneak a week in the Top 75 too – The Kick Inside version is currently no.101 on iTunes. Yes it would be great but I am sorry I can’t see it selling. Downloaded the amazing DU first thing yesterday morning. Not going to pre-order the album on iTunes though cause I NEEEEEDDDD the physical CDs. Just checked the download chart on swedish iTunes market and DU is now at position 41. Listening to DU and starting at Kate’s autograph on the wall addressed personally to me… Yikes! I can’t buy it. “Geographical restrictions”. All shops I’ve tried, who have it for purchase, won’t sell it to me. And all shops who would sell to my region don’t seem to have it. It’s like I’m being forced to look for it illegally, when I want to pay for it. So unbelievably frustrating. Where are you based, Joab? In Israel. Any idea where I can get it? Apparently there is a physical release? Contains the radio edit and album version. Hi Tristan, this is the promo single sent to radio stations…there is no physical release for purchase. Well, it’s still doing well on iTunes in Sweden, Finland and Netherlands, top 40. I guess that’s because most of the people are pre-ordering DC and getting DU download. I don’t know if the uk chart will count these. If you see the itunes albums chart, the pre-order is like top 20. Yes, it’s well down the iTunes chart now at 121 – even Wuthering Heights is still (just) in the Top 100. Wuthering Heights could actually finish higher in the chart than Deeper Understanding at this rate. I didn’t think DU would make the Top 10, but I thought it would at least get inside the Top 40. If Deeper Understanding fails to make the ‘singles charts’ (sic), I for one will be highly delighted. 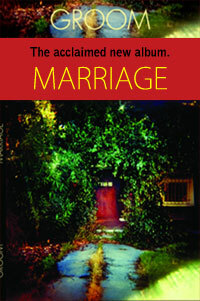 If other artists can take the trouble to release their singles on compact disc, in jewel cases, with artwork, and with bonus songs, I don’t see why they should have to compete with artists like Kate who think they can get away with shoving their ‘single’ down a telephone wire and think thats all they need to do. Its sheer laziness, its selling music in a sound quality that is knowingly sub-standard and put quite simply, its just not good enough. Absolutely agree. I’m all for supporting Kate, but I won’t download it when I’m not getting anything for my money, except ‘owning’ the track a few weeks before I get it on the CD anyway. It’s not the first time that established artists have failed to make the charts when releasing download-only singles. Seems their fans are more traditional in the main and want something real for their money. Ironic in this case given the song’s subject matter. A deeper understanding? Yes, I somehow agree with you, I was hugely surprised when I heard they was’nt going to release a physical copy of the single, and quite sad, as I thought Kate prefered that over digital downloads. where are the loyal fans, poor purchase’s for a great song, i can’t understand it. Buy it, support a great artist, she’s wonderful.